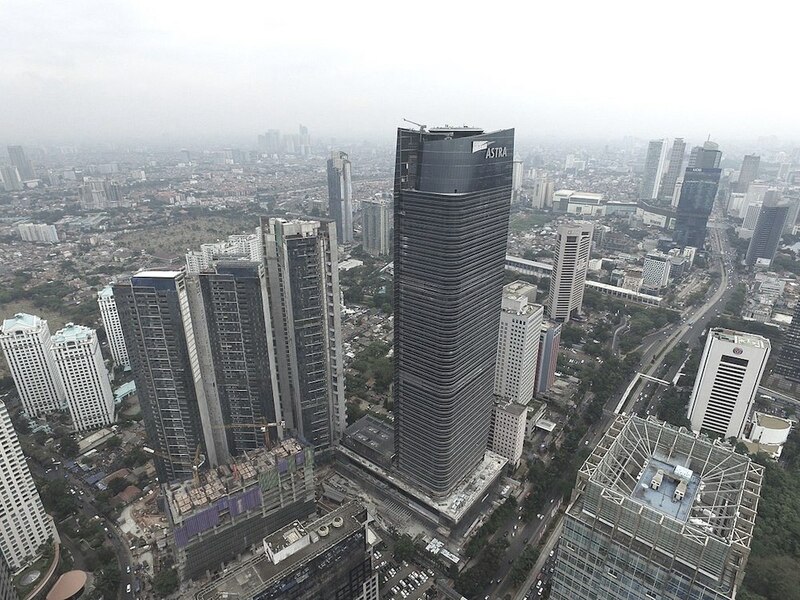 Jakarta is a rapidly developing area and tall buildings, both physically and symbolically, have a large role to play in the success of the city. One of the central developments is the imposing Menara Astra, or Astra Tower. 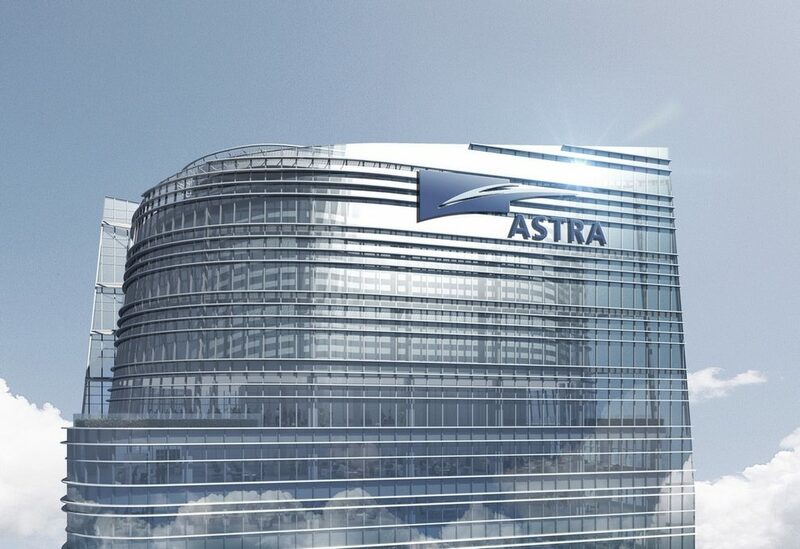 The building is home to the headquarters of Astra International, a major Indonesian conglomerate with wide ranging interests in the automotive industry, financial services, heavy equipment, agribusiness, information technology and infrastructure. Menara Astra rises 270 metres over the city, placing it among the tallest buildings in Jakarta and Indonesia as a whole. Primarily an office building providing much-needed grade-A commercial space for the central business district, the tower also includes retail and food outlets, a conference space accommodating 1000 visitors, a car showroom, a helipad on the roof, and even a museum. The building is located within the ‘Pacific Ring of Fire’ which is reported to be the site of 90% of all earthquakes in the world which made the structural design particularly important. An innovative lateral system rarely used before in Jakarta is part of a seismic defence design capable of tolerating a 1 in 500-year seismic event. Unfortunately, the facade access solution presented by the original provider did not meet the high standards the client had come to demand for the project. They then turned to the expertise and experience of Manntech based on their reputation for successfully deploying innovative solutions and rising to the challenges that come with unique construction projects. Manntech’s team were able to minimise disruption by retaining the underlying system of two climbing Building Maintenance Units, but improved on the practicality of the design and better satisfied the client’s requirements by making far-reaching changes to the track layout and introducing tubular rails which form two tracks linked by an I-beam. 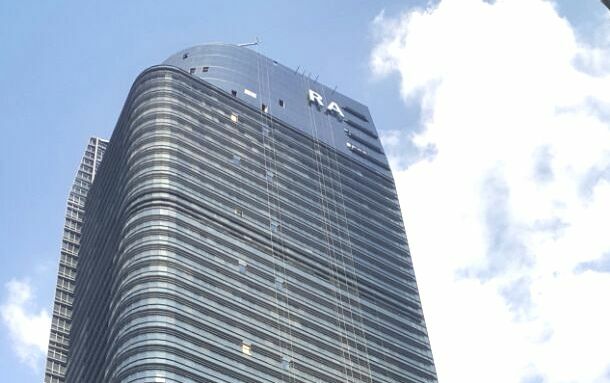 As a symbol of the growing confidence and ambition emerging from Jakarta, as the flagship building of one of Indonesia’s most important businesses and as a testament to the type of inspiring high-rise development which is becoming possible even in a region prone to earthquakes, the upkeep and maintenance of Menara Astra’s exterior facade was a vital part of planning for the building’s continued success. In spite of the time pressures involved in redesigning an earlier proposal at a relatively late stage, Manntech were able to step in and ensure the client could enjoy peace of mind with a tailor-made and reliable facade access solution in place.